The sassy, soulful, singing tour de force that is Jill Scott premieres the video for the latest single from her celebrated album Light of the Sun, a jazzified banger called “Blessed.” If your head ain’t noddin’ while listening to this, you should check your pulse ’cause you might be dead. If there was any wonder why Light of the Sun scored the Grammy-winning Philly rep her first #1 placement on the Billboard 200, “Blessed” should help you understand. This song is damn-near perfect, with Jill laying that silky smooth, perfectly-pitched voice of hers softly on top of Dre & Vidal‘s masterful amalgamation of bass guitar, keyboard and a couple types of drums. This thing hits hard enough to appeal to the hard-rock Hip-Hop crowd (Jill even rocks a Biggie tee in the video) while remaining delicate enough to get the neo soul set snapping their fingers like crazy — which is not an easy feat. The song and video features an oh-so-happy Jill simply rejoicing in her blessings from the time she gets out of bed and throughout the entire day. If you had a song this good, you’d be happy, too. And as if this song wasn’t enough, the dates for her Block Party concert series have also been released, so you can check the itinerary below the clip and see when you’ll have the opportunity to be blessed with a live Jill Scott performance. Wait — there’s more! 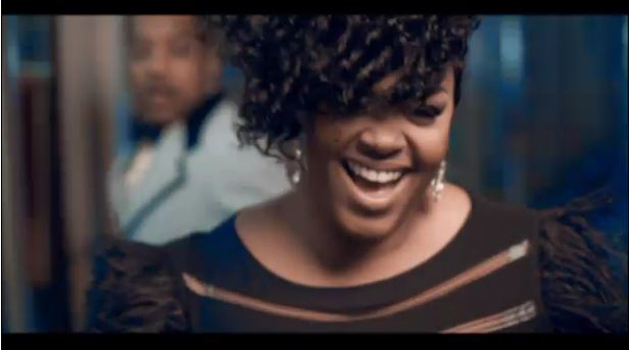 Jill Scott will also be kicking off the new season of VH1’s Storytellers when it premieres May 21. Check your local listings to see what time it airs in your area.